Major Political parties: Parties at the last election included the Party of National Unity (PNU) and Orange Democratic Movement (ODM), and the smaller Orange Democratic Movement-Kenya (ODM-K). Membership of international groupings/organisations: UN, Commonwealth, African Union, WTO, East African Community (EAC), Inter-Governmental Authority on Development (IGAD), Common Market for Eastern and Southern Africa (COMESA). Major Industries: Small scale consumer goods, agricultural products, processing, and tourism. Major trading partners: Africa (46.2%) mainly Uganda and Tanzania, European Union (28.5%), UK the leading partner, the Far East tops the EU for imports. Kenya is one of the most industrialised countries in East Africa, yet indurstry represents only 10% of its GDP. Agriculture employs 80% of the population and accounts for 50% of all exports and 25% of the GDP. The Kenyan economy remains dependant on agriculture and periodic drought often threatens GDP growth. Traditionally tourism, tea and coffee have been the largest foreign exchange earners, but horticultural products and industrial exports such as refined petroleum are also becoming important. 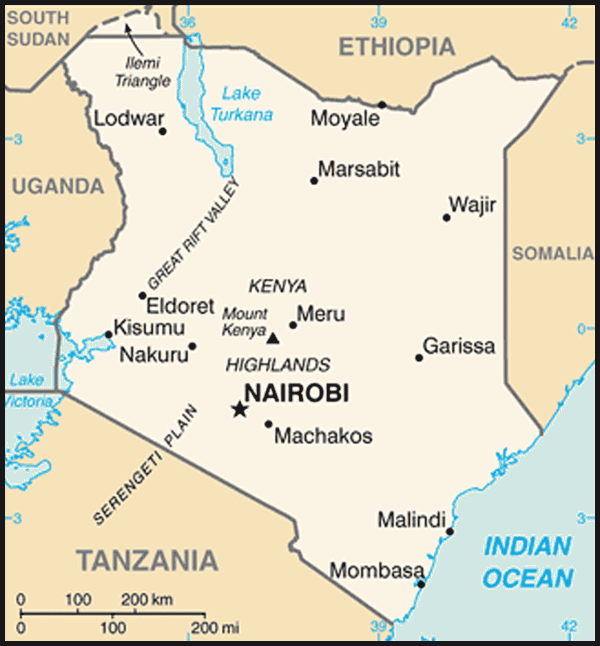 Kenya became a British protectorate in 1895 and a colony in 1920. White settlement was encouraged and by the 1940s European settlers had achieved considerable prosperity. African population growth resulted in increasing pressure for land. Jomo Kenyatta formed the first national organisation in 1944. But when the Mau Mau rebellion erupted in 1952, a state of emergency was declared, parties were banned and Kenyatta was tried and sent to prison. African members were elected to the legislative council in 1957 and the state of emergency was lifted in 1960. Political parties were legalised and Africans formed a majority on the legislative council. Two parties emerged: the Kenya Africa National Union (KANU) and the Kenya African Democratic Union (KADU). KANU won a general election in 1961 but refused to form an administration until the release of Kenyatta. 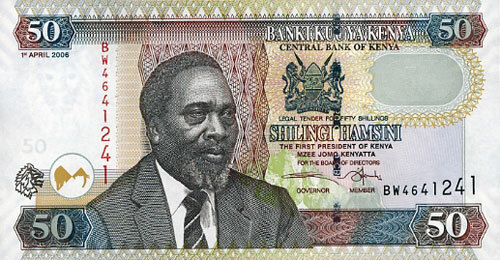 At independence in 1963, Kenyatta became Prime Minister. The following year KADU dissolved itself and Kenya became a republic with Kenyatta as its first President. A new opposition party was banned in 1969 and Kenya remained a de facto one-party state for the remainder of Kenyatta’s rule. On his death in 1978 Daniel arap Moi became President and later turned Kenya into a de jure one-party state. In 1991, under pressure from Kenyan activists and the international community, this was reversed. With multi-partyism restored, several opposition parties emerged: FORD Kenya, FORD Asili, Democratic Party, Social Democratic Party, National Development Party of Kenya and other smaller parties. However, KANU retained control, winning contentious elections in 1992 and 1997 against a divided opposition and amidst allegations of election abuse. The Kenyan political environment remained turbulent throughout the 1990s. The new East African Community (EAC) was formally launched in January 2001. It has a parliament, the East African Legislative Assembly, and a secretariat in Arusha (Tanzania). A Customs Union protocol, signed in 2004, came into effect on 1 January 2005. Regional integration remains high on the EAC's agenda with the admission of Rwanda and Burundi into the community and the ongoing negotiations for the Common Market, which was established in November 2009. As a member of IGAD (comprising Uganda, Ethiopia, Eritrea, Djibouti, Somalia and Sudan), Kenya has played a key mediation role on Sudan and Somalia. The British Council is the focal point for cultural relations between Britain and Kenya. For recent statements of UK Government policy towards Kenya see the Hansard (http://www.parliament.uk/hansard/hansard.cfm), and enter Kenya in the search engine. 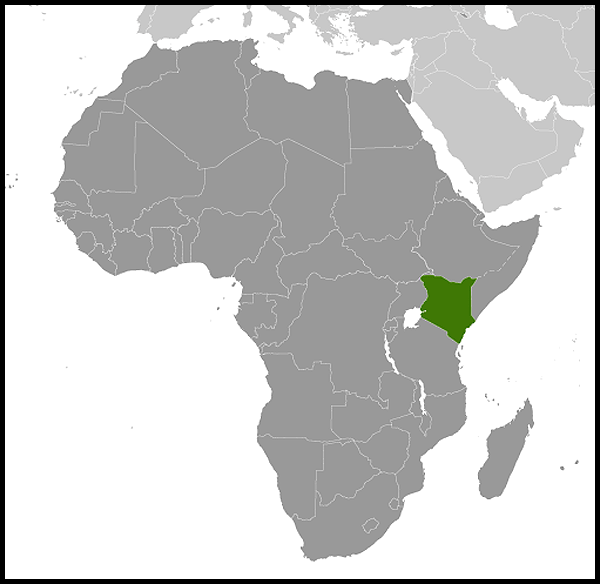 Kenya lies in east Africa, and is bordered by Somalia, Ethiopia, Sudan, Uganda, Tanzania and the Indian Ocean. Kenya has a climate ranging from tropical to temperate largely depending on the altitude. The UK remains the largest foreign investor, with investments estimated to be worth $1.5 billion. Significant British investors include Barclays Bank, Standard Chartered Bank, Glaxo Smithkline, ACTIS (formerly CDC Capital Partners), De La Rue and Unilever. Britain is a major trading partner. In 2010 exports of goods from the UK to Kenya were valued at £256m and exports of services were £200m. Imports of goods to the UK from Kenya were worth £347m and imports of services were valued at £171m. The Department for International Development (DFID) works with Kenya in a number of ways, including reducing poverty, tackling corruption, strengthening government accountability and funding work on HIV and Aids as well as education projects. For more information on what DFID are doing in Kenya, please visit their website. President Moi stepped down in 2002, as required by the 1991 constitution. Uhuru Kenyatta, son of Jomo, Kenya's first President, secured the leadership of KANU and stood for the Presidency, but a group of MPs broke with KANU to form the Liberal Democratic Party (LDP). For the first time, all the opposition parties united under the banner of the National Rainbow Coalition (NARC) and behind a single presidential candidate. President Kibaki's general election victory on 27 December 2002 ended nearly 40 years of KANU rule. The elections were the cleanest and most peaceful in Kenya's history and were followed by a smooth transfer of power to NARC. President Kibaki secured 62% of the popular vote and NARC won 132 seats in the unicameral parliament of 222 seats. But the first years of NARC's rule proved difficult due to the fracturing of the NARC coalition, especially over completion of the constitutional review process started under Moi. A lengthy public consultation process produced a new draft constitution (known as the Bomas draft) in March 2004. But its provisions, notably those reducing the executive powers of the Presidency, proved unacceptable to the government. After a protracted legal wrangle the government secured Parliamentary approval for certain key amendments to be made and a new Constitution Bill was published. However, the new draft was rejected by 58% of voters when it was put to a referendum in November 2005. This prompted Kibaki to sack his entire government and start with a new team which excluded all those Ministers who voted against the draft. Those who voted against the draft formed a new political party, ODM-Kenya. Progress in tackling corruption has also been disappointing. Corruption re-emerged as a major public concern in mid-2004 and represents a major threat to achieving social and economic reform. Three senior ministers were prevailed upon to stand aside, following their implication in grand corruption in February 2006 but two were re-appointed. In the run-up to the December 2007 general election, the 2 main parties reformed into large coalitions. In August 2007, Orange Democratic Movement-Kenya – formed after the November 2005 referendum - split into the larger Orange Democratic Movement (ODM) led by Raila Odinga, and the smaller Orange Democratic Movement-Kenya, led by Kalonzo Musyoka. In September the ruling party NARC-Kenya became the Party of National Unity. The election proved to be the closest – and most bitterly - fought in the multi-party era. Initial reports were that the 28 December poll was largely free and fair. The ODM coalition took the largest number of Parliamentary seats, and official exit polls pointed to a win by the opposition Presidential candidate Raila Odinga (ODM). But a delay in announcing the Presidential contest raised doubts about the overall conduct of the election. Despite growing concerns, on 30 December 2007 the Electoral Commission of Kenya (ECK) announced that the incumbent Mwai Kibaki had won the Presidential race by a margin of 231,728 votes. The opposition candidate Raila Odinga rejected the result outright. The Chair of the ECK, Samuel Kivuitu has since stated that he made the announcement of Kibaki’s win ‘under duress’. The European Union Election Observer Mission noted that the presidential elections lack credibility, and fell short of international standards. Kibaki’s re-election was met with serious communal violence – especially between rival ethnic groups - and a strong response by government security forces; over 1,100 people have been reported killed, and an estimated 600,000 people displaced. Kofi Annan was asked by the African Union to lead a panel of Eminent African Personalities to help negotiate a power-sharing deal between Odinga and Kibaki. An agreement was signed on 28 February 2008, which was welcomed by the international community. On 17 April a 42 -strong Grand Coalition Cabinet with Raila Odinga as Prime Minister was sworn-in. The Kofi Annan mediation process recommended that a number of reforms be undertaken to prevent contentious elections in the future and to deal with the underlying reasons behind the post-election violence. Despite some early progress with the establishment of independent commissions that investigated the election process and the post-election violence, there is concern about the pace of reform. ICC Chief Prosecutor Ocampo asked ICC pre-trial judges in December 2009 for permission to start investigation against individuals responsible for Kenya's post-election violence. 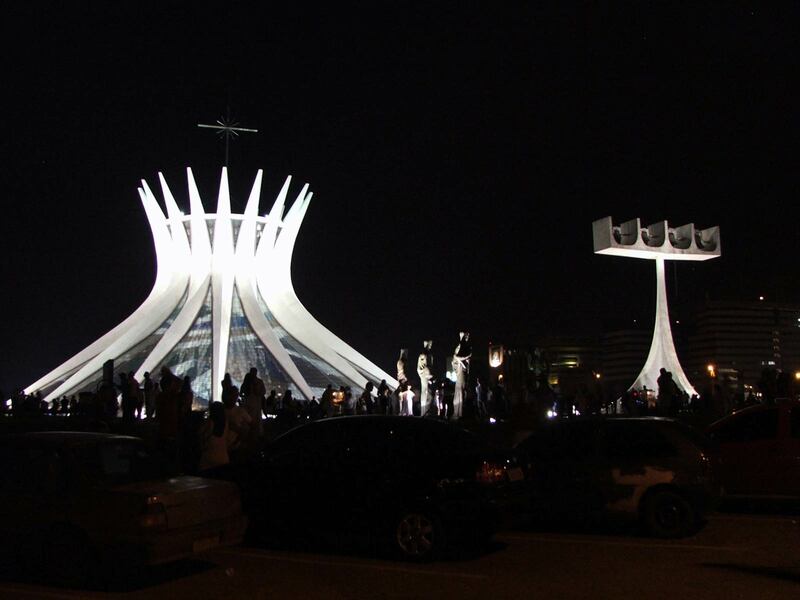 The report of the independent Commission of Inquiry into Post-Election Violence (CIPEV), published on 15 October 2008, detailed violence that was both spontaneous and planned against individuals targeted because of their ethnicity and/or political beliefs. The Kenyan police were heavily criticised for failing to anticipate, prepare for, or contain the violence and for using excessive force to suppress demonstrations. The Commission stated that individual members of the Kenyan police had committed serious human rights violations. The report of the UN Special Rapporteur Philip Alston on extrajudicial killings, published in June 2009, after his visit in February, provided further evidence of the necessity for urgent reform of Kenya’s justice and security architecture.